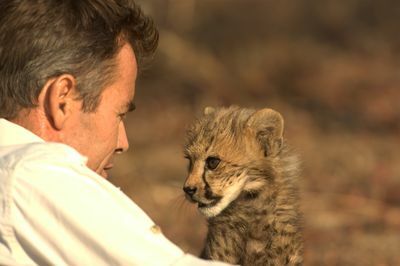 Brand new series ‘Man, Cheetah, Wild’ follows Kim Wolhuter, a man at one with an untamed world. A maverick filmmaker who was raised in the wild, he pushes both his life and his films to the edge. 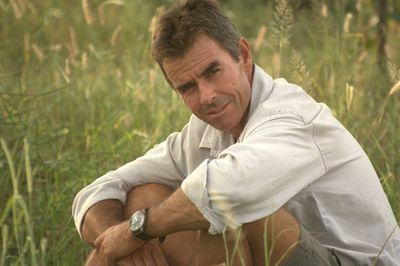 Using astonishing bush skills and an unprecedented knowledge of animal behaviour Kim Wolhuter just doesn’t sit in a truck to film some of Africa’s biggest predators, he wins their trust and runs alongside them barefoot. 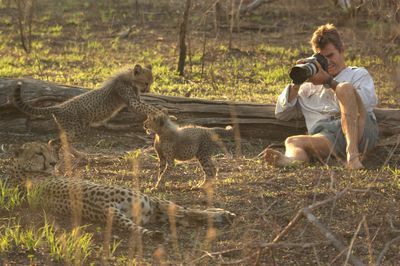 In, ‘Man, Cheetah, Wild’, Kim Wolhuter trails a female cheetah and her five cubs, spending 18 months living and running alongside them. In the Malilangwe Game Reserve, Southern Zimbabwe he chases off lions, stands up to rhino and faces death, following the daily life as the cubs turn into fully fledged predators.